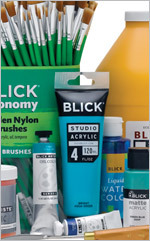 At Blick, we’re committed to delivering the very best experience for our customers — the best prices, the best service, the best selection, the best availability, and the best knowledge. We call this The Blick Advantage. Blick scours competitive ads and websites to make sure you save money ordering from us. If you find a lower advertised price, we’ll match it. Because of Blick’s unmatched purchasing power, our buyers find the best values, and then pass those savings on to our customers. Our buyers also source products from around the world to sell under the Blick brand name — assuring even more value for your money. Our long-standing business motto — "Blick Ships Quick" — embodies our commitment to getting our customers what they want, when they want it. We have real people answering the phone 24 hours a day, seven days a week, and our automated picking equipment allows us to process most orders within 24 hours (with no additional rush charges). We also pride ourselves on making very few mistakes. We know problems waste your time, so when we cause one, we do everything in our power to make things right. We know that being creative often requires materials that are difficult to find. 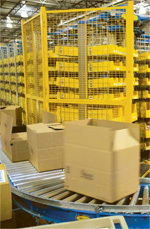 That’s why Blick stocks more than 80,000 products in its warehouse, and offers nearly 15,000 factory-direct items and more than 8,000 Blick and Utrecht brand items. Our massive inventory means we should always have what you need in stock. If we don’t, that’s our fault, not yours. That’s why we do something virtually none of our competitors do — we NEVER cancel a backorder unless you ask us to, and when we receive your backordered item, we ship it out immediately — at NO additional cost to you. 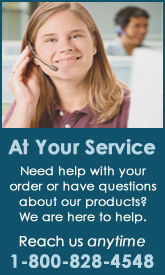 Our sales staff and product information specialists are trained to hunt down answers to your tough questions regarding materials, techniques, and safety. Hundreds of Blick videos are also available at DickBlick.com and on YouTube.com, including video lesson plans for teachers, and product demonstrations for artists.